I am a stickler when it comes to my closet. To be honest, I’m a little lazy and I don’t want to spend a bunch of time looking for an outfit in the morning. I’ve been organizing my closet the same way for almost 15 years. 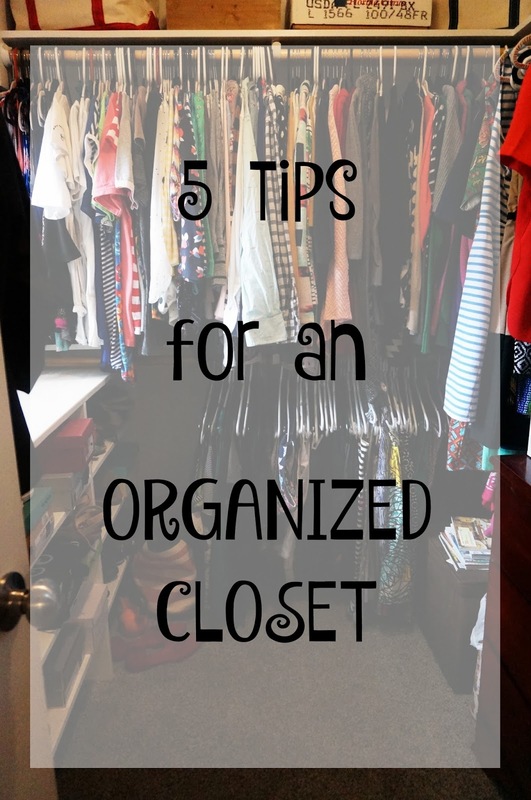 Here are my tips for organizing your closet and keeping it tidy! In my closet, everything is grouped by type of clothing. All of my shirts are together, all of my bottoms are together, etc. In fact, I take it a step further and then have them organized by length. For example, the top rack starts with tank tops then goes to short sleeve tees, 3/4 sleeve tops, long sleeve tops, short sleeve button-up tops, 3/4 sleeve button-up tops, and long sleeve button-up tops. …You get the idea! I do the same thing with bottoms (shorts, skirts, pants), and my dresses are in a separate section. Within each type of clothing, I organize the clothing items from lightest to darkest. This makes it so easy to find exactly what I want. It also looks so tidy and neat. I absolutely love having a tidy space, because it’s calming and I feel like my ‘mental’ space is tidy as well. When my space is cluttered and disorganized I feel cluttered and disorganized. I’m also happier when everything is neat and in its place. This might sound obvious, but purge! Stay aware of the things you love and the things you dislike. I purge about every other month. I don’t always need to get rid of a ton of clothes, but as soon as something stops serving its purpose it needs to go. Chances are, if you don’t use it at least every three months, you don’t need it. Every day, I do one load of laundry. I hang up the clothes that need to be hung up, and I put the ‘dryer’ clothes in the dryer. The next day, we all put away the clothes that were hung up and dried in the dryer. All five of us pitch in to put way our own clothes. Sometimes one of us help Izzie, since she can’t reach all of her drawers. It’s become a really nice evening routine, because we never start a day with laundry to put away (aside from the load from the day before that is likely still drying when we leave in the morning). When we get home in the evening, we start the routine all over again! If you struggle with finding things in the morning or deciding what to wear, plan outfits! You can do this in a variety of ways. For example, last week I went through all of my pants and skirts. I made an outfit with each pair of pants and each skirt. Then, I hung up all the outfits together on one side of my closet. After I paired all the pants and skirts with tops, I went through the dresses and paired them with cardigans. I have about three weeks worth of outfits already hung and ready. You can also pair jewelry at the same time, but I like to pick out jewelry and shoes the night before. It makes getting ready in the morning so easy! I hope you enjoyed these tips! 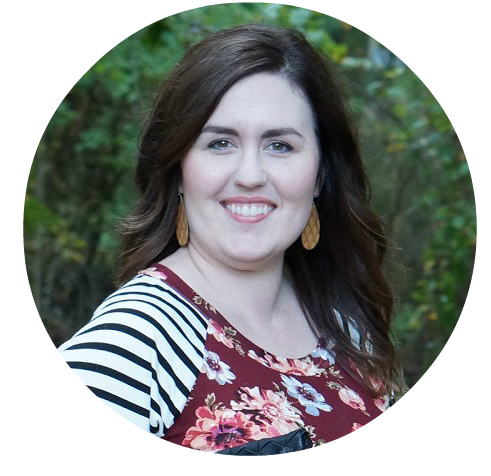 I’d love to hear how you organize your closet!